Better quality than you will find at a box store. Hoge Lumber Company. The Hoge commitment to uncompromising quality allows for long-lasting beauty and structural dependability when building your custom home, whether it be a remodeling of your current house or constructing a brand new one. Hoge utility buildings can be constructed for a variety of uses, such as agricultural farm buildings, livestock / confinement buildings, office buildings, storage buildings, machine shops, retail stores, and other commercial uses. Established in 1904, Hoge Lumber Company has been in the wood working business for over a century--and they're still going strong. Across four generations, the Hoge family has maintained an utmost commitment to quality, and our reputation speaks for itself. They have seen many things come and go throughout the years, and they're still here (and not going anywhere). Hoge Lumber Company has been in business for over 110 years, and you don't find continued success for that period of time by cutting corners. 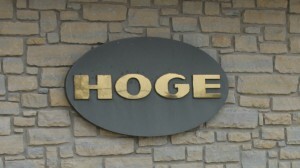 The entire Hoge team takes pride in the quality of their work, ensuring long-lasting beauty and dependability. 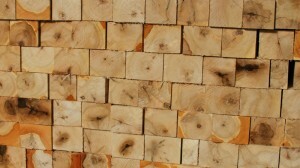 From the forest to your exact finished requirements, you can count on the quality of Hoge Lumber. The diversified capabilities of Hoge ensure that all custom projects are done using quality materials while offering our clients any support they may need. The Hoge Building Professionals can custom design any project, with their commitment to making sure everything is done on time, and done right. Across four generations of a family's commitment and capability, Hoge Lumber Company has produced a wide spectrum of superior quality hardwood products and prime hardwood veneer logs for discriminate buyers in the United States and throughout the world. Nestled in the heart of America's abundant hardwood country, Hoge Lumber Company combines an entire community's pride of craftsmanship with modern technologies to create a multitude of small, medium, and massive components from white oak, red oak, maple, ash, walnut, and other prized hardwoods.